Tata bringing world's cheapest car to the U.S.
There’s no confusing their products, however. The original Tata Nano is a step up from a motor scooter, with only the most minimal creature comforts and a severe lacking of safety features, as well, according to critics. The U.S. version will have to meet federal laws, of course, which would mandate the addition of such niceties as airbags and electronic stability control. And the engine may get a little boost from the basic 37 horsepower that it makes in India. 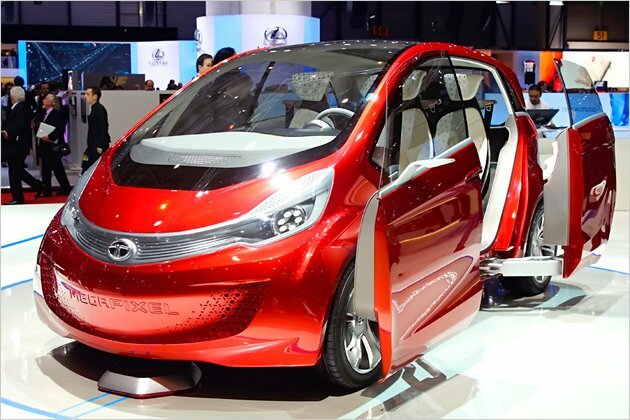 Can Tata Make a Nano that Americans would take seriously? It apparently wants to try.But don’t expect the American microcar to have much more, Tata’s eponymous Chairman Rattan Tata told Automotive News. Of course, Tata thought there’d be plenty of growth in India, as well, where the potential population of motorists ranks second only to China. The executive dreamed up the idea of what is little more than a plastic-bodied scooter after seeing whole families crowd onto two-wheelers. But sales have lagged well behind expectations – apparently in part due to some much-publicized fires and other safety issues that have forced a number of recalls and modifications. The maker promises to have things more in shape for the more demanding American market once it gets here – though precise timing hasn’t been announced. The question is how much all that will cost. 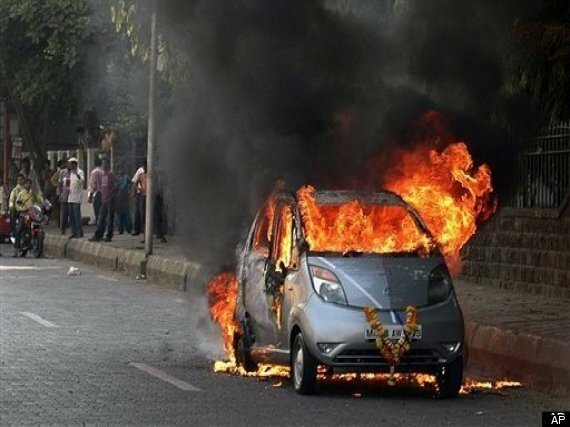 From the Indian base of around $3,500 speculation suggests the Tata Nano might be bumped up to as much as $10,000 in the States. The question is whether at that price it will be able to gain traction against markedly better-equipped Asian and American models with more familiar nameplates and better reputations. 37 horsepower engine? Come on. 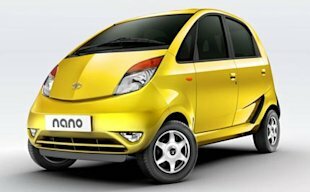 The Nano isnt a bad car for what its designed for... that being said its not designed for America. Its the Indian Model T, without the durability, ease of construction or repair that the T offered. Its the first car many in the Indian countryside will ever have access to and by just its nature of moving under its own power will be a quantum leap out of the bronze age. But here? Not so much. It might see some use as a city car, but the American market has come to expect MUCH more from a car than just having a ~$10k price tag. The base models that other makers offer hover at the $13-15k mark and are better all around than the Nano. Granted they are half again as much... but in reality thats not a deal killer for most in the US. In India its important that it be as cheap as possible, not really here. If Tata can pump them out and somehow shoehorn them into their dealer network (although its going to be a tough sell sitting next to Jags and Rovers) they have little to lose in the experiment.... but I doubt much will come of it. If there isn't already one with a Hayabusa engine in it, give it a while. There will be. I cringe when I see Smaat cars. Can't imagine anyone stupid enough to buy one of these pieces of shite. I would like to see the Smaat cars race in a league of their own. Possible 10k? That's way to much for that car. With the added safety features it should cost 5k max. that little joke would fit in the engine compartment of my lexus LX570. Again like the Fiat 500's they are selling now ummm how are they going to be in the snow or deal with the salt they dump around here. I was in a head on accident in a company own Ford Fiesta. If I didn't make a sudden turn to the right, I'd be dead. And that car weighted about 130o lbs. Similar experience with a 77 Mazda GLC... which prob weighed about the same. 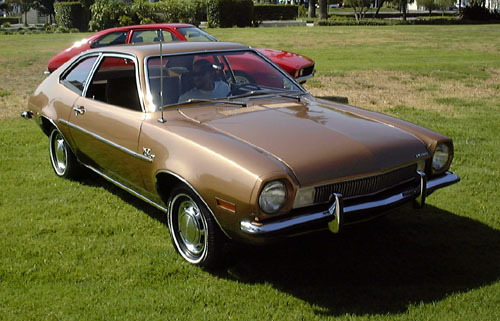 I do remember my dad having a Pinto for like a week while his company car was being fixed... what a POS. My dad had a Chevy Vega for a short while. I blew one of his deals to get rid of it by mentioning the massive amounts of oil it burned. Think the biggest POS I ever drove was Ford Tempo that that throttle always stuck open... when I was delivering pizzas... was a treat sitting with the car in drive at a stop sign with both feet on the brake peddle. Pinto's actually arent bad cars... their interiors sucked and all of the ancillary stuff sucked... but the basic drivetrain and suspension is actually pretty dome good. You can get LOTS of HP out of a Pinto engine. The chassis makes for good road race and dirt track cars. The suspension set up Mustang II is the industry standard for hot rod add on IFS. if you look behind the brown Pinto in the pic above you'll see a red Pangra Pinto. A special edition tuned by Ak Miller. Great little cars and VERY rare. Fiat 500's are GREAT little cars. They are essentially a Fiat Punto and Ford Ka under a better looking skin. Both proven cars. The bugs have been worked out. The Abarth edition is a ripper. Sounds FANTASTIC and holds the road very well. Got to run one around Laguna Seca and it was a BLAST. The vega on the other hand... ooofff... not good. There was actually a pretty cool concept in delivering them on rail cars, they stood them up near vertically so more would fit. There were baffles put in the oil pan to help retain the oil so it didnt load up the cyls during transport. It didnt work. In B4 joke about how MagicBob could use a Tata as a rollerskate. My brother had a Tempo he called The Tempo of Doom. Looks like every starter car in any of the Gran Turismo games. Well the store had 3 vehicles... a Chevette... a newish 4cyl Mustang and that Tempo. The drivers would fight to see who would get the Mustang as it was pretty new and still had treads on the tires. I'm getting two... then I'll have a nice pair of Tata's. Im going to bring my credit card and maybe get, like, 3 or 4 Tata 5's and give some to my friends. By the time they meet all the regulations, this thing will cost 20 grand. Some people just need a no frills car. This will suit their needs. The gas mileage will probably vary depending on whether or not you took a dump before getting in though.